2017 marks the 60th anniversary of the Old Town School of Folk Music, Chicago&apos;s premier folk music school and organizer of the festival, and Square Roots will host celebrations all weekend long. The multimedia Folk Music - Chicago’s Legacy, a look and listen to the role Chicago played in folk music history, will premier at the festival on July 9, from 3-4 p.m., as the showcase event of the festival. Stick around post-show when the school’s teaching artists will show participants of all levels to sing and play the songs that made an impact. Old Town School is also celebrating "The First Lady of Song": Ella Jenkins. Raised on the south side of Chicago, Jenkins has been performing inspiring children&apos;s music for sixty years. Her new Smithsonian Folkways recording, Camp Songs, features Old Town School teaching artists, students and friends and Square Roots guests both young and old will be able to sing along to favorites like This Little Light of Mine and The Cuckoo! Documentary filmmaker Tim Ferrin will show clips from his upcoming movie about Ella&apos;s 60 year career. Saturday, July 8 at 3 p.m. Multiple music stages, both inside the Old Town School and outside on Lincoln Avenue, will feature performers from local indie rockers to world music stars to Old Town School teaching artists and students including Meat Puppets, Nikki Lane, Joan Soriano, The Accidentals, Explosión Negra, Parker Millsap, Texmaniacs, Oh! Pep, Femina, Los Vicios De Papá and many more. Find a full line-up of performers and featured headliners at squareroots.org/music/. 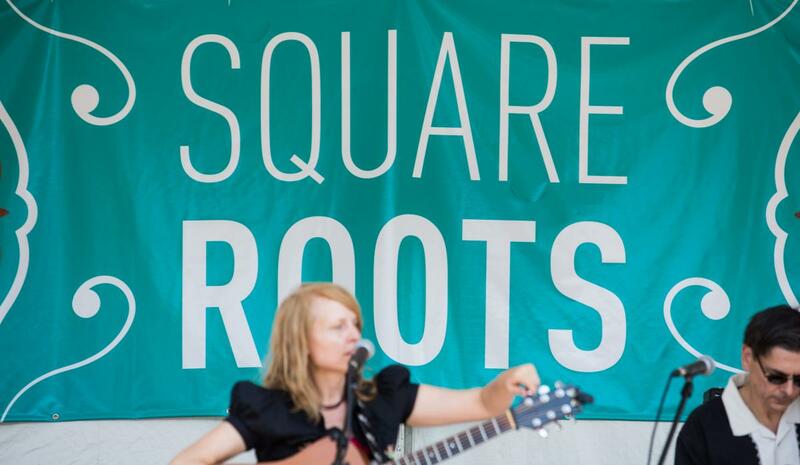 Square Roots pairs music with the best local and regional craft brews. Expect special tappings throughout the festival from 5 Rabbit Cerveceria, Argus, Half Acre Beer Company, Hinterland Brewery, Lagunitas, Metropolitan Brewing Company, Northman House Cider, Penrose, Revolution, Sketchbook Brewing, Solemn Oath, Temperance Brewery, Ten Ninety and Tocayo. Check out the full beer list at squareroots.org/beer/. Lincoln Square is known for its restaurant scene, and many of the top neighborhood eateries will abe serving up amazing dishes Festival attendees. New restaurants for Square Roots 2017 include Essence Of India, Art Tango, Jerry&apos;s Sandwiches and Carbon Arc. They round out the collection of Lincoln Square favorites like Gather, Bistro Campagne, Miku Sushi and many more. Check out the full list of menu offerings at squareroots.org/vendors/#food. 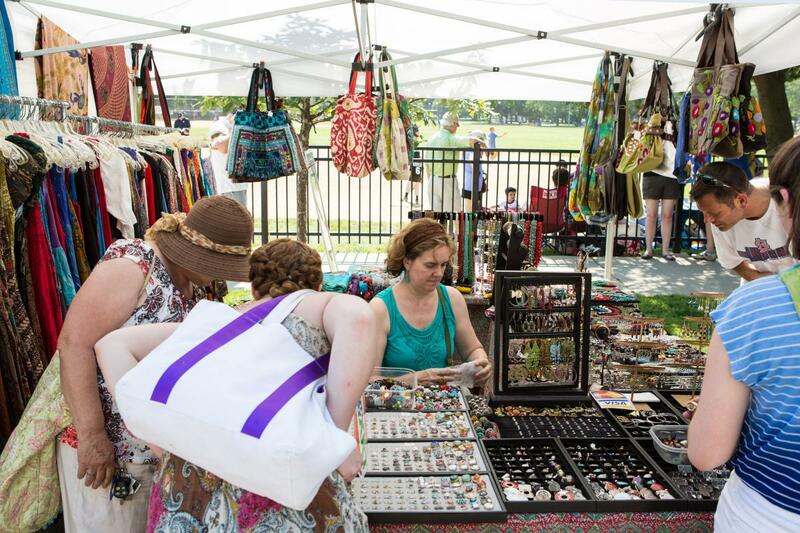 An in-festival marketplace will feature the goods of a number of Lincoln Square neighborhood artisans. 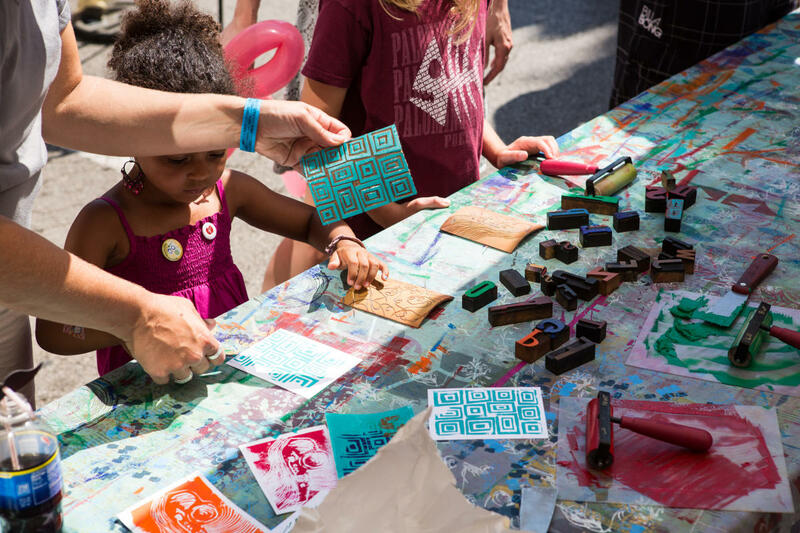 Don&apos;t miss “Maker’s Row,” a partnership between Chicago Printmakers Collaborative, Tytin Jewelry and Everlasting Fire Studio. A full roster of vendors is available at squareroots.org/vendors/. Square Roots is one of the only festivals in the city that truly welcomes even the tiniest tots. There’s a dedicated children&apos;s pavilion completed with interactive fun: learn a new square dance in the family barn, sing along with the Dreamtree Shakers and belt out some hits with your little ones at Karaoke with Kids. To view a full list of family fun activities, visit squareroots.org/familyfun/. Dates: Friday, July 7, 5-10 p.m.; Saturday, July 8, noon-11 p.m.; Sunday, July 9, noon-9 p.m. Location: Lincoln Avenue, between Montrose & Wilson Ave. 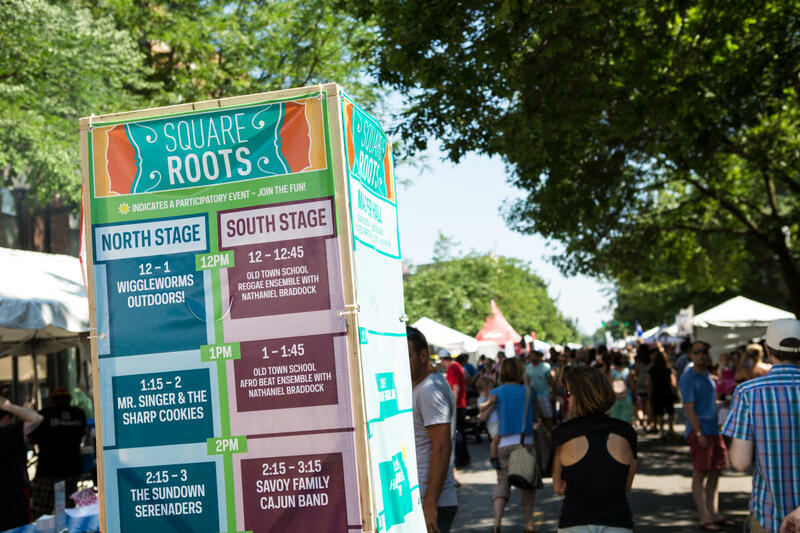 Learn more at squareroots.org and check out the full schedule of July festivals in Chicago.